Vegan Ice-cream: VanLleeuwen artisan ice-cream handcrafted in Brooklyn and sold in Amsterdam by JuiceBrothers. Homemade cashew milk, organic coconut milk, coconut oil, cane sugar and pure cocoa butter are concocted and the result is pure and delicious vegan ice cream. Van Leeuwen is a well-known ice-cream maker in New York and famous for their vegan ice cream using only pure ingredients and no addition. 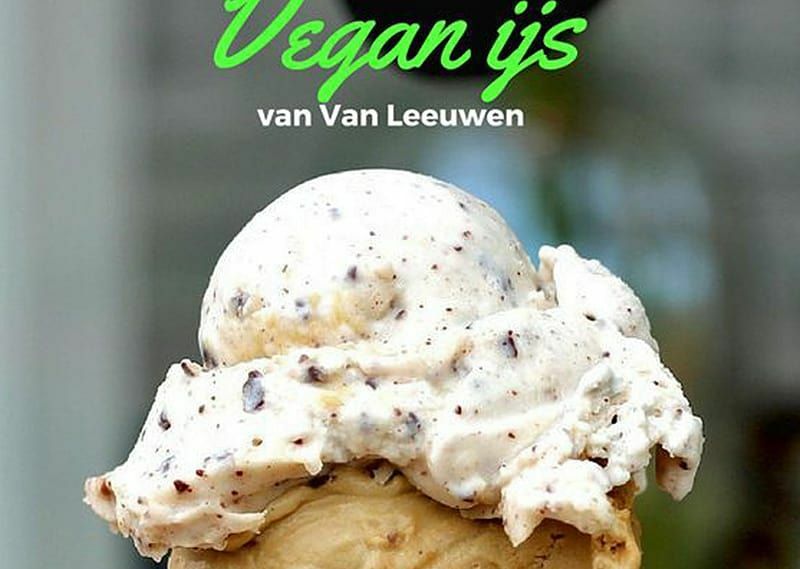 JuiceBrothers, a juice bar in Amsterdam, added this famous ice-cream to their menu. Vegan Ice-cream: all vegans who love ice-cream should go straight to JuiceBrothers juice bar to sample scoops of creamy vegan ice-cream. Forget about dull flavours like mint or stracciatella but go for toasted coconut brownie cherry swirl or turmeric and if this is not exotic enough have a scoop of coffee crunch or spirulina. If you want to keep it simple go for chocolate chip or pistachio. And the very good news is: the cones are vegan too!